Harold William Durham Huntley was born May 31, 1891 in Downhead, Somersetshire, England. He was a son of James and Elizabeth Huntley who were living at Leigh-on-Mendys, Bath, England. It would appear that Harold and his brother Horace came to Canada at some point likely to build a new life and future for themselves. 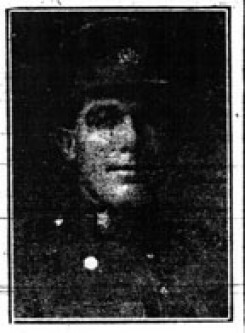 At the time of his enlistment Harold was a farmer working for William McKay of Thamesford. His Oath of Attestation was signed on October 24, 1915 and he went overseas with the 71st Battalion. He died January 30, 1917 from wounds received in action. He is buried in the Villers Station cemetery in France.